Some things in business are more straight-forward: like scheduling meetings, purchasing new office equipment, or organizing a company retreat. Others, such as team-building, interpersonal communication, productive conflict and relationships are more complicated, and thus even more important to be conscious of. While it’s important to create your own leadership style and figure out what works for your team, you can start with a baseline, or “template” leadership style. Here, we’ll think of it like a “checklist.” Those “must have” leadership traits that allow your team to flow, feel fulfilled and reach their highest potentials. Maintain structural consistency in the workplace, so employees generally know what to expect on a day-to-day basis. Doing so allows employees to feel safe and comfortable in their roles, thus optimizing performance and decreasing unnecessary stress or anxiety about the uncertainty of their position. Turn your attention towards outcomes, not output. Some team members may be able to accomplish in 5 hours, what another can accomplish in 8 hours. Focus on the outcomes, goals achieved and targets reached, rather than who spent how long at their desk today. This is also a great measure for assessing individual performance — if you notice a team member could use more of a challenge, adjust their workload accordingly and get the most out of each workday. Welcome opposing viewpoints and opinions. If a team member shares a dissenting viewpoint, take a step back before reacting. It may be pertinent to take notes, ask questions, and then reconvene on the topic at a later date, after you’ve had time to think it over and assess the viability of their opinion. Embrace the viewpoints of other team members, not just when it’s convenient or lines up perfectly with your own views. Hold the space for your team members. For example, if you’re discussing a particular project or during a weekly meeting, allow each person an allotted time to speak, so when the meeting comes to a close the last speaker isn’t scrambling to say their piece in a matter of a few short minutes. Each and every team member should feel safe, secure and free to speak their mind without fear of negativity, rejection or judgment. Pay close attention to your non-verbal communication. While your head may be in one place, your body could be sending opposing signals. Cues such as crossing your arms, looking away, avoiding eye contact or checking your phone can be truly disrespectful to the opposite party. Next time you prepare for a presentation or just want to improve your body language, try recording yourself. When you watch the video, turn the sound off and focus solely on your body language. If that won’t do, ask a trusted colleague or peer to give their honest feedback about how they perceive your body language. Notice when a team member is unhappy. Just because a team member is unhappy, doesn’t mean they’re ready to quit. There’s still time to salvage the relationship and get them back on track! One of the most noticeable traits of an unhappy employee is they are the “odd man out.” An employee who hasn’t seemed to “click” with anyone, may be a warning sign. Check out 5 Red Flags for How to Spot an Unhappy Employee. What’s on your Effective Leader Checklist? This is just a start! Let us know in the comments below. Do you need help finding executive talent? Contact us here. How can you be an effective leader for any team member, any time? 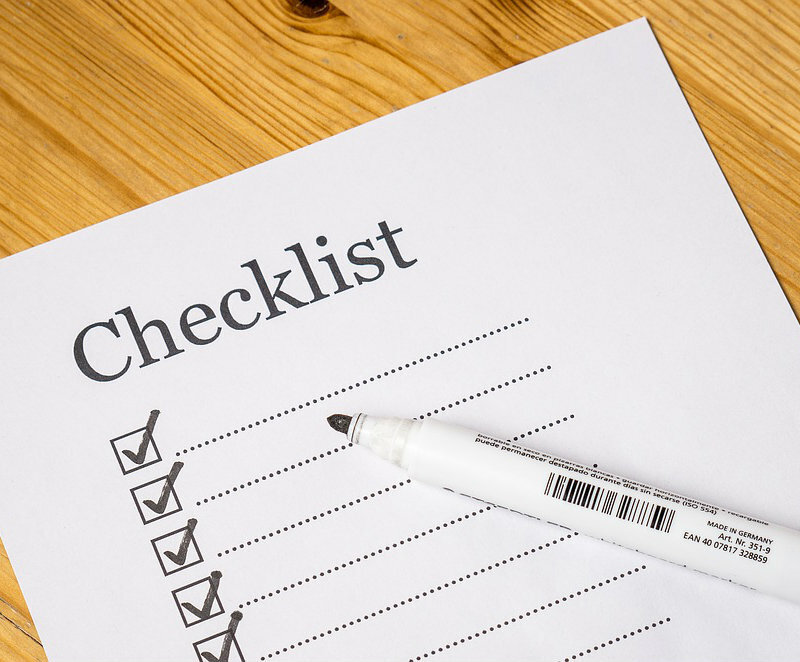 See our checklist here! Your team will benefit from these insights.